Harlech stands above the stunning coastline of Tremadog Bay, and Maelgwyn House is a 10-minute walk down to the 8-mile long beach. It is the ideal base for outdoor activities such as walking, climbing, golf, fishing, bird watching, and horse riding. We can organise fly fishing trips to our mountain lakes with an expert guide and all equipment supplied. We can also arrange nature walks, bird watching and mushroom hunting (when in season). Ask us about these activities when you book your room. Other places of interest: The historic Harlech Castle is located just five minutes walk from Maelgwyn House. A short drive away is the famous town of Portmeirion (as seen on TV's 'The Prisoner', and more recently in the drama series 'Cold Feet'), and the town of Porthmadog. 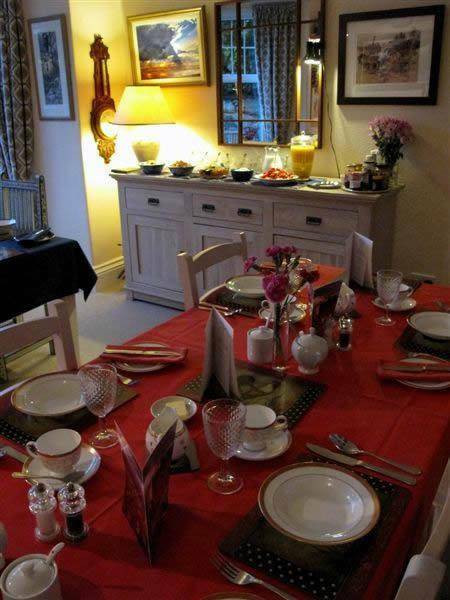 Bridget and Derek Stenberg welcome you to Maelgwyn House Bed and Breakfast. 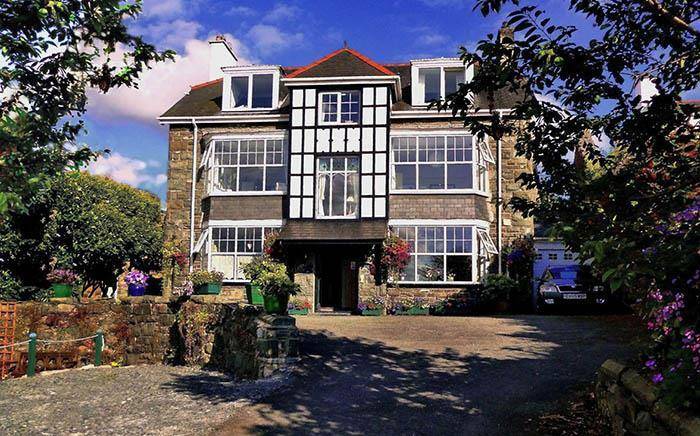 Maelgwyn House Bed and Breakfast is ideally situated for hiking in Snowdonia National Park and the Rhinog Mountains, and visiting the Llyn Peninsula, Porthmadog and Portmeirion. The house doubles as a gallery for artworks by Derek Stenberg. 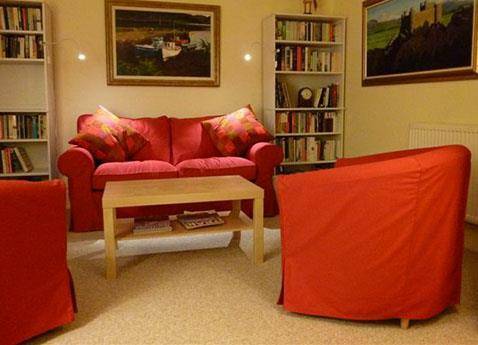 Relax in our cosy guest lounge and plan your day on the Rhinog hills or in Snowdonia National Park. 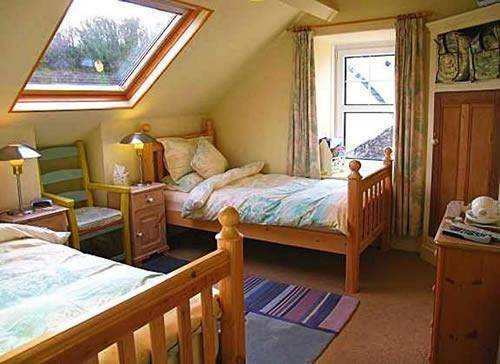 We offer a choice of king size rooms and twin rooms. 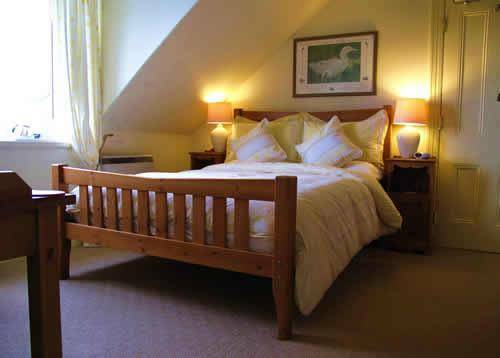 All rooms are en-suite and have flat screen TV, DVD player, and tea and coffee making facilities. 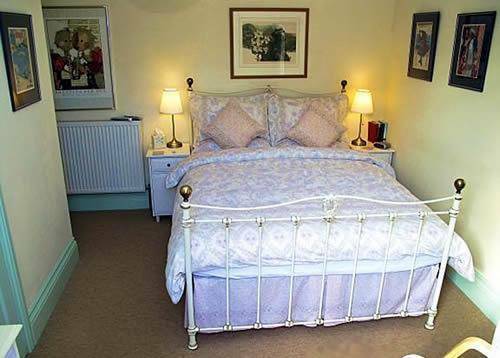 All of our rooms have recently been refurbished to a high standard. 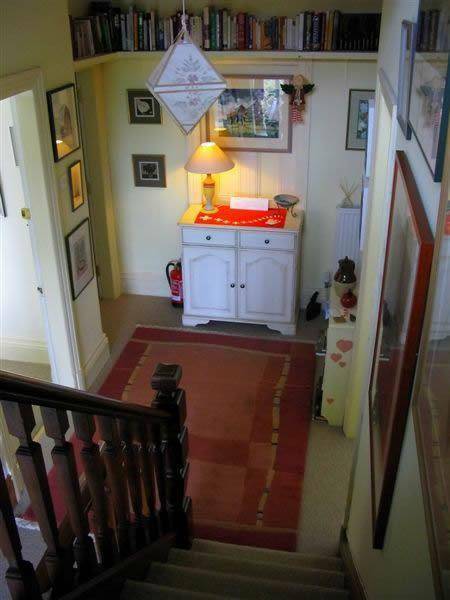 The two rooms at the front of the house offer spectacular views across Tremadog Bay. The other rooms have views across the garden and to the surrounding hills. If you can't quite cope with "getting away from it all" we now offer free WiFi.